A developer usually goes one of two directions when coming up with a fighting game. The first direction focuses on making a balanced game that anybody can enjoy with a diverse cast of playable characters. Balancing is crucial when making a game to be introduced to the international tournament scene. Some notable examples are Street Fighter, Mortal Kombat, Tekken, Virtua Fighter, Guilty Gear, BlazBlue, The King of Fighters and Skull Girls. In order to maintain that a title's gameplay remains balanced, developers constantly create and release patches. The second direction focuses on fan service, which means the developer is not making a title primarily for gameplay, but to appeal to the fans. Game balancing is not at the top of the list of things to do when developing a title. Such titles include Naruto, Dragon Ball (with the exception of Dragonball Fighter Z) and One Piece. Anything can be adapted into a fighting game. A good example is the doujin developer Takase adapting Victor Hugo's Les Miserable into a 2D fighting game titled Arm Joe. It is an obscure 2D fighting game title that's available on the PC for free. That is solid proof that anything can be adapted into a fighting game, though it doesn't have to be a serious fighting game. Anything can also be adapted into a serious fighting game, too, on the same note. The popular collectable card game Magic the Gathering, developed in 1993 by Richard Garfield, is one of those franchises I believe should be adapted into a solid 2D fighting game. This is something I can totally see happening, as a fighting game fan and a Magic the Gathering player. Magic the Gathering remains one of the most popular card games all around, especially since its publication in 1993, where developers come up with ways to bring in new players and keep current players hooked. The game holds 25 years worth of story content and characters. There is also plenty of material to use for downloadable content (DLC), which is inevitable for most video games. Wizards of the Coast has kept players on the hook by effectively telling a story through each expansion set cycle. 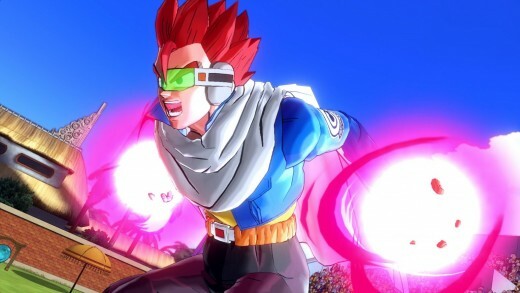 Each story could be adapted into the game's story mode, which is crucial for many fighting games when a player does not feeling going online and challenging other players. Magic the Gathering has so many stories to tell, spanning across multiple planes. There are many stories to choose from, as they encompassed set blocks such as Mirage, Rath, Urza, Masques, Kamigawa, Ravnica, Lorwyn, Shadowmoor, Alara, Zendikar, Innistrad, Theros, Khans of Tarkir and more. There is more than enough material to create an original story for the game, too. When building a balanced character roster, there is no shortage of characters to choose. There is 25 years worth of characters to choose from such as Gerard Capashen, Baron Sengir, Crovax, Tahngarth, Squee, Captain Sisay, Mirri, Ertai, Mishra, Karn, Braids, Brigid, Chainer, Commander Greven il-Vec, Rathi il-Dal, Xantcha, Cho-Manno, Chandra Nalaar, Jace Beleren, Sorin Markov, Liliana Vess, Dakkon Blackblade, Danitha Capashen, Rafiq of the Many, Ob Nixilis, Drana, Memnarch, Eight-and-a-Half-Tails, Kiku, Gideon Jura, Vraska, Sarkhan Vol, Ajani Goldmane, Venser, Elspeth Tirel, Nissa Revane, Koth and many more. That also includes alternate versions of characters. There are plenty of villains to choose from, too. You can choose from Tsabo Tavoc, Tezzeret, Yawgmoth, Gix, Elesh Norn, Lim-Dul, Avacyn, Volrath, Emrakul and Nicol Bolas. For humor sake, characters introduced through unofficial sets (Unglued, Unhinged and Unstable) could also be added. Each character has something to offer in terms of gameplay and personality. Imagine the pre-fight and post-fight dialogue of Liliana Vess after she beats an opponent. 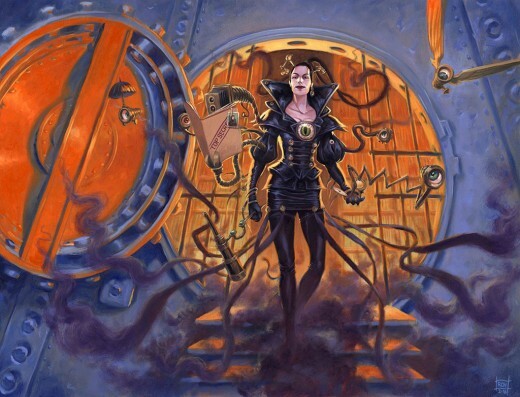 As a fighting game character, Liliana could use an assortment of special moves that either allow her to summon the dead or drain life from her opponent's meter and add it to her health meter. Garruk could be a powerhouse character with the ability to summon animals at his beck and call. 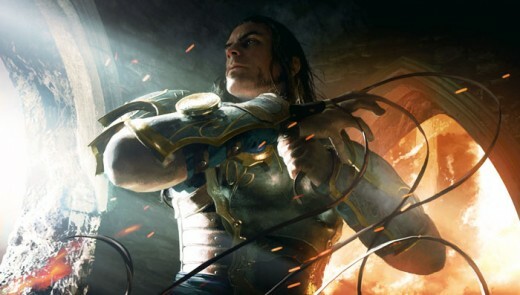 Jace could be a character who specializes in defensive, counter-offensive and counter-defensive moves. Chandra can be a low-defense character, but compensates with speedy movement and powerful attack spells. Nissa can be a semi-defensive character with the ability to restore part of her life meter, while summoning elf minions to fight for her. Venser could be a character who summons a bunch of artifact creatures for his moves set. Sarkhan Vol could be a character who can summon dragons. Gerrard Capashen could be a character who is the typical well-balanced character. Mirri could be a character who specializes in speed and agility. Squee could be like Gill from Street Fighter III, with the ability to keep coming back to life. In the case of a fighting game, Squee can use his super meter to restore his life (once every round) in the manner that Elena does in Street Fighter III. Kiko could be like Zato-1 from Guilty Gear, specializing in speedy close-range assassination attacks. It would be similar to Norimaro being added to the original Japanese port to Marvel Super Heroes vs. Street Fighter and the bad box art (BBA) version of Mega Man being added to Street Fighter X Tekken. Magic the Gathering holds more than enough locations to be used as actual game stages such as the Eye of Ugin, Tolarian Academy, Gaea's Cradle, Teferi's Isle, Geier Reach Sanitarium, Hall of the Bandit Lord, Inventors' Fair, Kor Haven, Mikokoro Center, Nykthos, Urborg, Minamo, Shizo, Spitfire Bastion, River of Tears, Steam Vents, Izzet Boiler Works, Sunken Garden, Dimir Aqueduct, Blood Crypt and many other places. The card game, itself, has its own set of mechanics that can be adapted and modified for a fighting game, too. There could be a system in place where players can equip cards they can unlock that give them special abilities, when activated, for a certain amount of time. 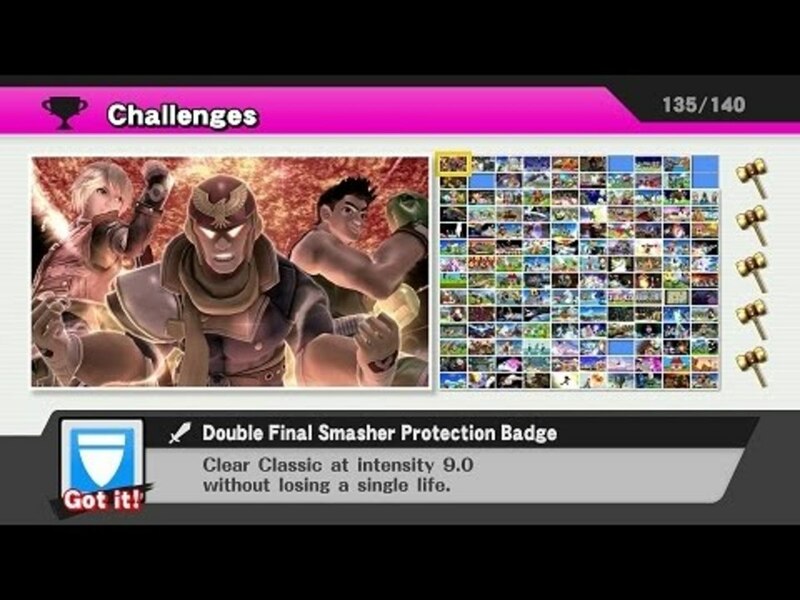 Activating those cards uses up the player's super meter, similar to how Street Fighter EX has the “Guard Crush” and Street Fighter Alpha has the “Alpha Counter.” For example, a card that gives you “First Strike” can allow you to auto-parry every time you block an attack. A card with the ability to give poison counters could slowly drain your opponent's life meter. A card with the ability to tap into your opponent's mana could allow you to drain energy from your opponent's super meter. A card with the ability to get mana at the cost of life could allow you to convert part of your life meter into a super meter and vice-versa. 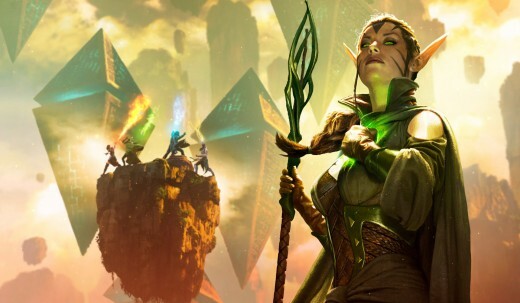 There's also plenty of material in Magic the Gathering that could be adapted into mini-games. The mini-games could reward players by unlocking artwork of cards. Cross-marketing is also an option because it can introduce fighting game fans to Magic the Gathering and vice-versa. I believe there are many things the fighting game and MtG communities could learn from each other. The same applies to the fighting game and MtG developers. Who Should Develop The Game? Arc System Works, hands down. Even though this is just a HYPOTHETICAL game title proposal, I strongly believe that Arc System Works could get the job done and do serious justice for Magic the Gathering as a potential 2D or 2.5D fighting game title. The studio has developed fighting game titles, with a few flying slightly below the radar, that have proven to be just as popular as 2D/2.5D titles developed by Capcom and SNK. When it comes to fighting game, Arc System Works has gone against the proverbial grain and was able to reap the success. What I mean by “going against the grain” is that Arc System Works does not rely on the standard formula of “shotoclones.” Arc System Works didn't rely on creating characters similar to Ryu from Street Fighter or Kyo Kusanagi from The King of Fighters. 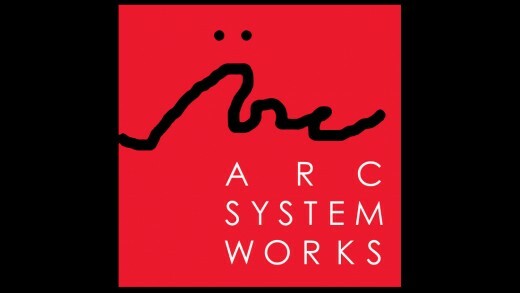 In the late 1990s, Arc System Works (with ATLUS as the publisher) broke into the fighting game scene with Guilty Gear, a title that grew into its own popular series' franchise over the years. 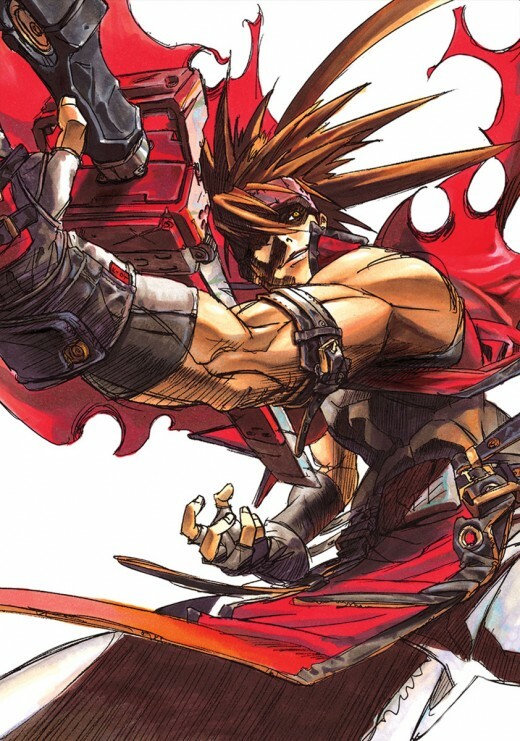 The first Guilty Gear game, ported to the original Playstation console, evolved over the years and Arc System Works was put on the map in the world of fighting games with the success of its Guilty Gear X series. 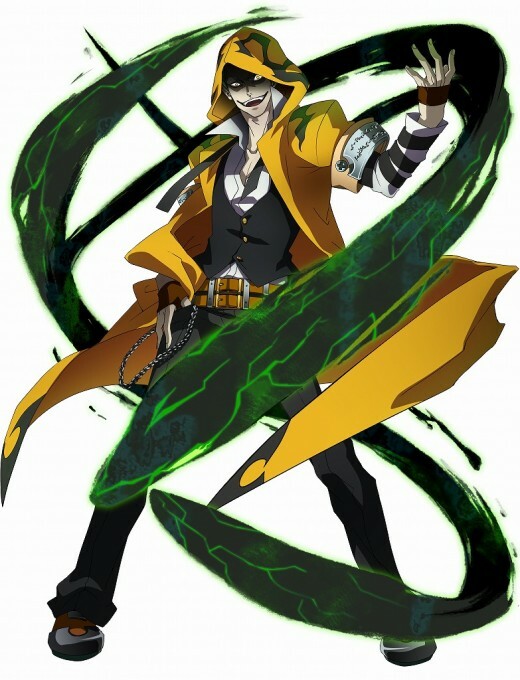 The series was recently revived in 2.5D form through the Guilty Gear Xrd series. 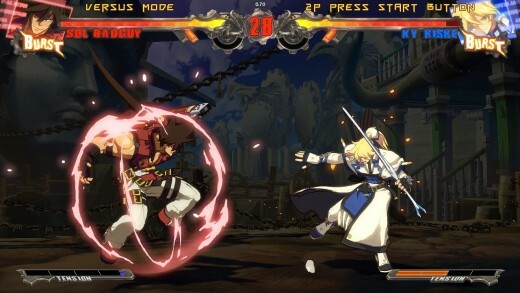 Arc System Works proved that it was not a “one-hit wonder” by developing the equally popular Blazblue series. 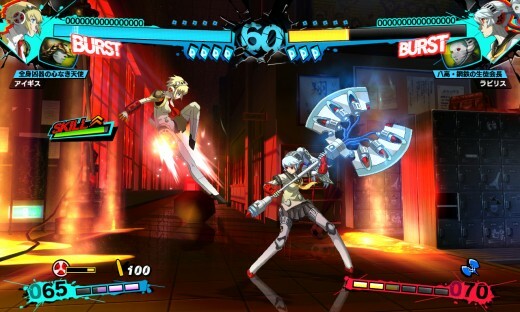 The studio, in relation with ATLUS, developed the popular Persona 4 Arena series that ended up being popular with the fighting game community. Arc System Works developed Dragonball Fighter Z, which Bandai Namco released early this year. The studio also adapted Fist of the North Star (known as Hokuto no Ken in Japan) into a fighting game, which was published by Sega (ATLUS is currently a subsidiary of Sega). 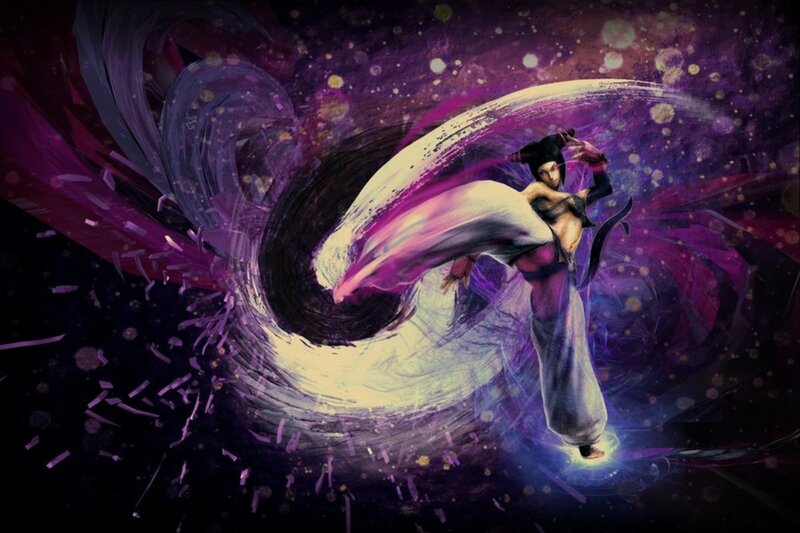 It developed a 2D fighting game adaptation of Sengoku Basara for Capcom titled Sengoku Basara X. With these titles speaking for themselves, I believe Arc System Works could do a great job of adapting Magic the Gathering into a viable fighting game. The thought of a Magic the Gathering fighting game is hypothetical, but I might as well bring up the idea of a crossover. Crossover titles are usually hit or miss, depending on a multitude of factors. Capcom has cranked successful crossover fighting game titles like Marvel vs. Capcom 2: New Age of Heroes, Marvel vs. Capcom 3: Fate of Two Worlds, Capcom vs. SNK: Millennium Match 2000 and Capcom vs. SNK 2: Mark of the Millennium 2001. The company had moderately successful titles like Tatsunoko vs. Capcom and Street Fighter X Tekken, though it's very hard to please everyone with the latter. SNK had moderate success with SNK vs. Capcom: SVC Chaos and Neo-Geo Battle Coliseum. Midway Games, before its bankruptcy, tried its hands at one, Mortal Kombat vs. DC Universe, with moderate success. 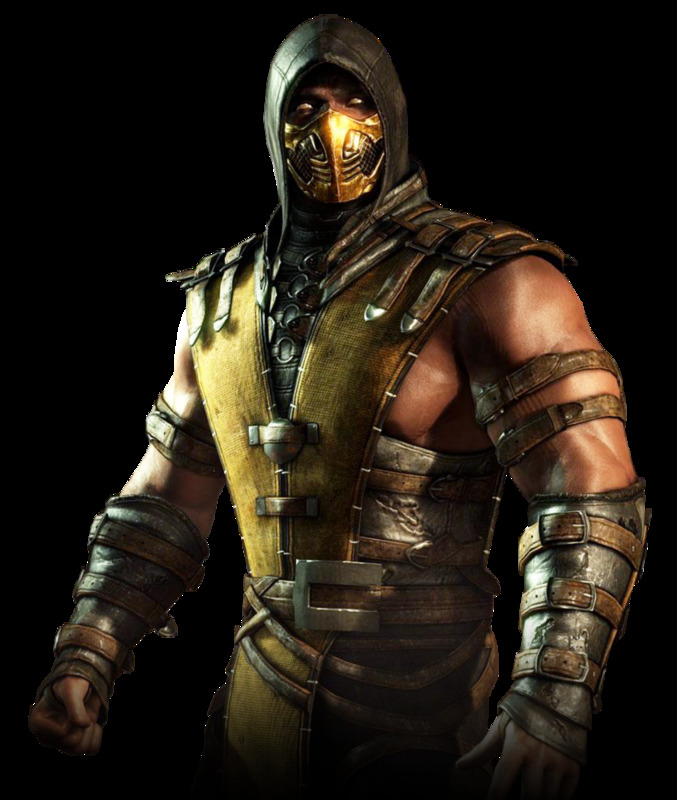 The Fatalities, a core part of the Mortal Kombat franchise, were drastically watered down. Sega gained moderate success with Dengeki Bunko: Fighting Climax. As for Arc System Works, it's stepping into the threshold of crossover fighting titles with the upcoming BlazBlue: Cross Tag Battle. The game crosses over the cast of BlazBlue with the cast of Persona 4 Arena, French Bread's Under Night In-Birth and Rooster Teeth's RWBY. Magic the Gathering would likely crossover well with the likes of BlazBlue, Guilty Gear, Persona 4 Arena, Under Night In-Birth, Melty Blood, Dengeki Bunko: Fighting Climax, Akatsuki Blitzkampf, and RWBY. There would be some very interesting dialogue between Sol Badguy from Guilty Gear and Liliana Vess from Magic the Gathering. In the face of Nicol Bolas, Sol likely show the elder dragon plenty of contempt and lighting a cigarette afterward. Tezzeret from Magic the Gathering and Yuki Terumi from BlazBlue could be the best of frenemies, willing to work with each other only to back-stab each other in the future. 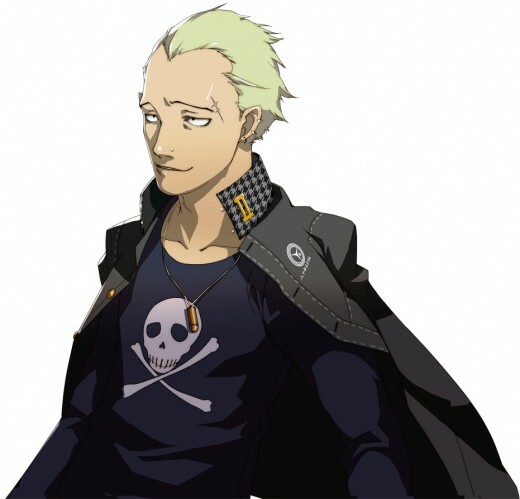 Someone like Kanji Tatsumi from Persona 4 Arena could have a personality clash with members of the Weatherlight of the Gate Watch. I can also picture Liliana, in her own way, trolling Kanji. Aigis & Labrys from Persona 4 Arena would find Karn interesting and vice-versa. You have two anti-Shadow weapons and one sentient golem. I would bet Aigis & Labrys would catch the undivided attention of Tezzeret and the Phyrexians. With everything said, I believe Magic the Gathering could be adapted into a fighting game and not one that's geared mainly towards fanservice. The card game itself has plenty of gameplay dynamics while creating new ones, that can be modified and adapted to fit the needs of a fighting game title. As I already explained my reason Arc System Works should be ones to develop such a title. Arc System Works is pretty much the only developer I would even trust to successfully pull off an endeavor. Given how Magic the Gathering is popular across the world, especially Asia, there should be an easy channel of communication with Wizards of the Coast. As Magic the Gathering is 25 years old, almost as old as Capcom's popular Street Fighter franchise, and full of content suitable for a great fighting game title.